Phillies organizational coach Roly DeArmas explained to the club's new Dominican signees some important points, according to The Philadelphia Inquirer. One of the important points involved a local all-you-can-eat restaurant. It was something signee Alberto Vicente explained they didn't have back in the Dominican Republic. "Where we come from," said Vicente told The Inquirer through DeArmas, ''all we eat is rice and beans - and not much of that. That's why we're so skinny." For Vicente, he would soon find himself back in the Dominican. 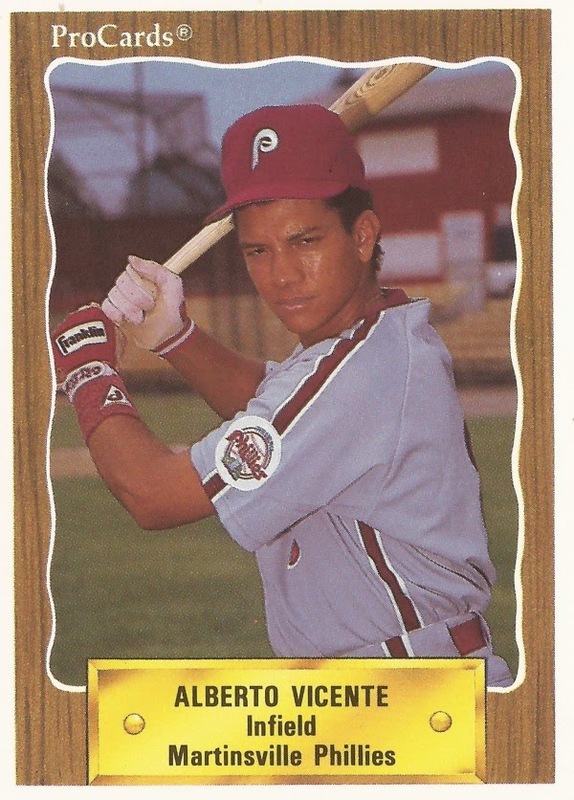 His stay in the Phillies organization turned out as brief as possible. He isn't recorded as getting into a game. Vicente was from Bani, D.R. He was 18 years old. He was 5 feet, 11 inches tall and weighed 165 pounds. He also never got into a professional game.